Christopher Miner Spencer is well known for the automatic screw machine he patented in 1873, and he had a lifelong fascination with steam-powered automobiles and boats, tinkering with his own vehicles although he didn’t patent them. The exhibit includes letters, photos, portraits, poems, patents, arms, and more. We invite you to enjoy refreshments with us and learn about this fascinating man and his life in Windsor. At 6 p.m., Curator Kristen Wands will read from Vesta Spencer Taylor’s personal reminiscences about her father, illustrating her presentation with images in Windsor Historical Society collections. 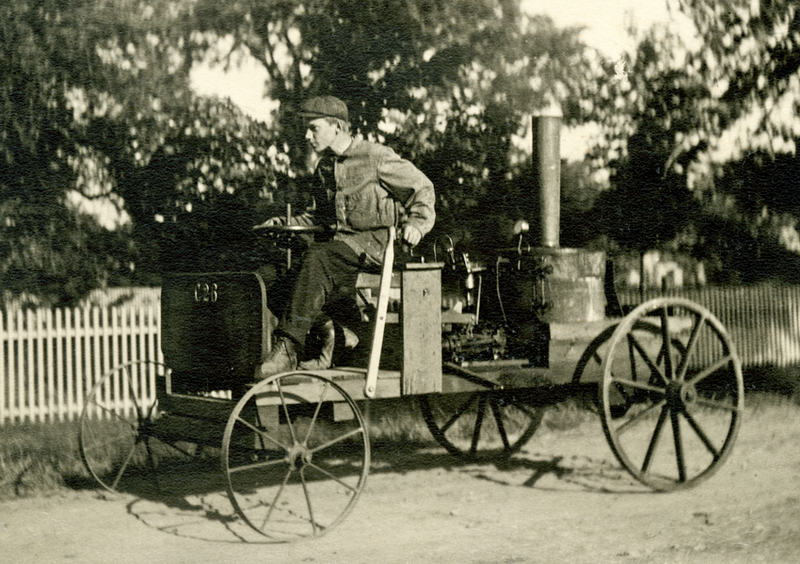 Image: Christopher Miner Spencer’s son Percival drives an automobile invented and built by Spencer, c.1909. WHS collections 2011.1.57.